The technology has changed the world. A Marketing firm headquartered in Singapore, which focuses on its team to promote technologies with crypto coins. 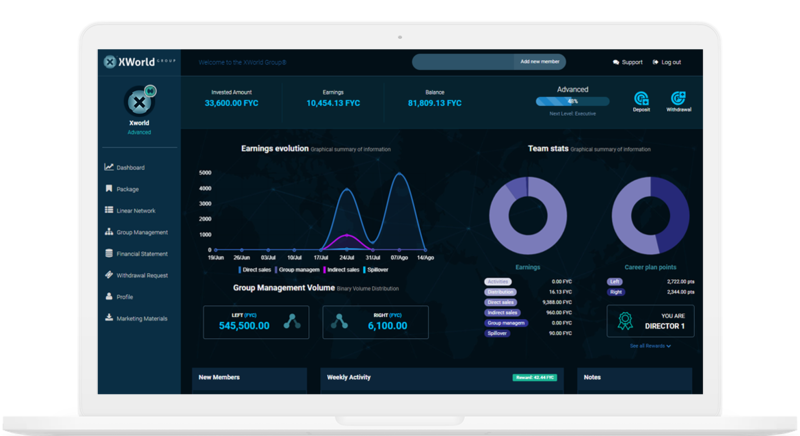 A platform that seeks, through mutual efforts, to generate capital by bringing into the market of crypto coins the concepts of Network Marketing. Initial Coin Offering (initial offer of currency). Is the opportunity for investors to obtain a currency during its period of development. Generating profits extremely larger than those who buys the same currency after its entry in the Market cap. The Foryoucoin is an ICO entirely focused on the acceleration of high-impact software projects, on a worldwide scale. It uses the ERC20 Protocol of the Ethereum and it is already included in a trading platform, with a high valuation perspective. The platform uses and offers various security units and protocols to ensure agility in transactions and custody of the assets. Follow up the growth of your portfolio through pointing graphics. Analysis of profitability. Know how and where the profitability of your portfolio comes from. Manage quickly and intuitively your team by navigating your network thoroughly. Assist in the propagation of Foryoucoin with a few clicks. Choose your plan and start the XWorld marketing experience now. If you are a member of XWorld or want to know the plan, just click the Download PDF button.